Hannah Williams, senior, faced some struggles during the volleyball season of her junior year. She took advice from her coach, Denny Werner, which paid off in a big way. To read more about her success, visit Lancaster Online. Senior Hannah Williams has been named to the Pennsylvania Volleyball Coaches Association AAA All State team! This follows Hannah’s awards as a 1st team section 2 LL League All Star, 1st team PVCA AAA All District All Star and Lancaster Intel All League selection! Congratulations to Hannah as she joins former SPOTVB alums Kara Hildebrand (’05), Maria Horning (’08), Ashley Schnader (’09), Rachel Wenger (’09), Lauren Horst (’12) and Steph High (’12) as the school’s 7th PVCA All State Selection. Congratulations to our SPOTVB captains: Senior, Hannah Williams and Juniors, Maddy George and Katelyn Snader. Hannah and Maddy were honored as 1st team LL League Section 2 all stars while Kate was honored as a 2nd team LL League Section 2 all star. 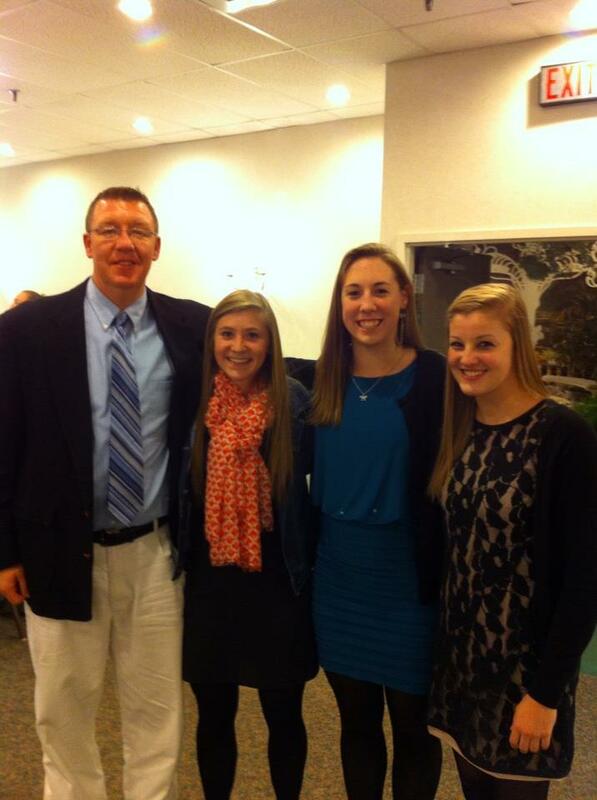 Additionally, the Pennsylvania Volleyball Coaches Association selected Hannah and Maddy as District 3 AAA all stars. Hannah was named to the first team and Maddy to the second team. 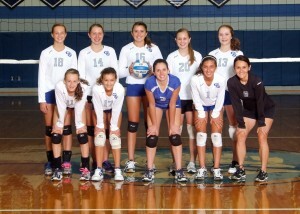 The Garden Spot girls’ volleyball program has another excellent season. Our Varsity team won their 5th Lancaster Lebanon League Section 2 title, were LL League Finalists and District 3 AAA Quarterfinalists finishing the season at 15-4. Our HS JV team finished their season undefeated and our MS Varsity team also finished their season undefeated! Tremendous accomplishments! 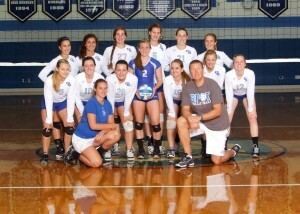 Girls Volleyball Won their 17th AVCA Academic Award! 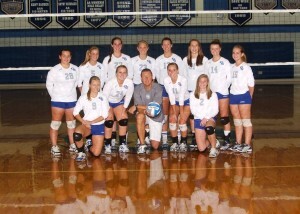 The Garden Spot Girls’ Volleyball team won their 17th consecutive AVCA Team Academic Award for this past calendar year. This summer the girls were notified of their honor. This past year’s team had a team cumulative average of over 4.0!! To see all of the teams that were honored, visit the American Volleyball Coaches Association. To read more about this success, visit the American Volleyball Coaches Association. One of the most decorated senior girls’ volleyball players in the L-L League has made her college decision. To read more about Lauren Horst’s college choice, visit the Lancaster Lebanon League e-News website. Steph High and Lauren Horst were selected for the AAA All-State Team. Read the full article and see pictures of Steph and Lauren on the Lancaster-Lebanon League e-News website. Seniors Steph High, Lauren Horst and Brittany Lantz were all voted first team LL League Sect 2 all stars. Read the full article and see pictures on the Lancaster-Lebanon League e-News. Seniors Lauren Horst and Steph High were also voted to the District 3 all star team. You can checkout action pictures and see their stats on the Lancaster-Lebanon League e-News. Lancaster Lebanon league e-news has profiled several Garden Spot High School girls volleyball players.